+ 30% with each deposit! 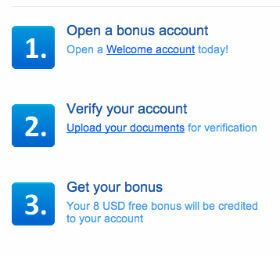 Octafx offers an $8 forex no deposit bonus as a forex welcome bonus to all new traders. In addition, it offers a 30% deposit bonus on each deposit. Please make sure you verify your account, as it is needed to receive the $8 no deposit bonus (more info under 'Bonus Details'). Octafx uses MetaTrader4 for as its trading platform. Spreads are competitive. Smallest accounts are micro accounts (1 pip = 10 dollar cent). $8 will be credited to your account. you need to trade (bonus amount) / 2 (bonus amount divided by two) standard lots to withdraw the bonus. you cannot withdraw later bonuses before withdrawing earlier ones. So if you deposit twice, your trading volume will first count. towards the first bonus, and when that forex bonus is free, to the second bonus. if the account balance is less than the bonus, the bonus will be cancelled. if you withdraw before meeting the bonus requirements, the bonus will be cancelled. Support: Good. Contact is possible through chat, email and phone (China, Indonesia, Malaysia, St. Vincent). OctaFX uses only Metatrader as its trading platform. It has no webtrader, meaning it is not very suitable for apple and linux users. It also offers no mobile trading for smartphones of its own. OctaFX offers the 12 most important currency pairs plus gold and silver for its micro accounts, and adds more exotic currency pairs to its ECN accounts. No stocks, no (other) commodities. The $8 no deposit forex welcome bonus is a nice way to get to know Octafx, but the fact that you can't use it in a 'normal' account is a drawback. The bonus requirement of 8 Standard Lots to be able to withdraw the no deposit bonus is higher than usual for forex no deposit bonuses this size. 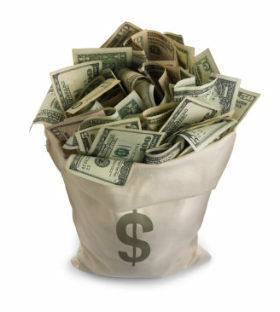 Payment options include Mastercard, Visa, Moneybookers, Liberty Reserve, Cashu and Bank Wire.